Abstract: The Huns are one of the most misunderstood and mythologized barbarian invaders encountered by the Roman Empire. They were described by their contemporaries as savage nomadic warriors with superior archery skills, and it is this image that has been written into the history of the fall of the Western Roman Empire and influenced studies of Late Antiquity through countless generations of scholarship. 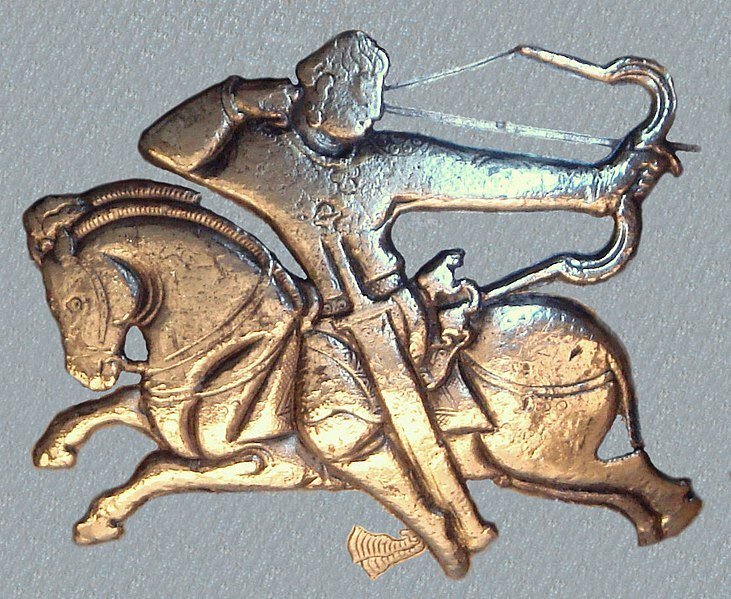 This study examines evidence of Hunnic archery, questions the acceptance and significance of the “Hunnic archer” image, and situates Hunnic archery within the context of the fall of the Western Roman Empire. To achieve a more accurate picture of the importance of archery in Hunnic warfare and society, this study undertakes a mortuary analysis of burial sites associated with the Huns in Europe, a tactical and logistical study of mounted archery and Late Roman and Hunnic military engagements, and an analysis of the primary and secondary literature. Introduction: During its decline and subsequent fall in the latter part of the fifth century C.E. the Western Roman Empire witnessed significant political upheaval, civil war, and frequent barbarian invasions. Of these barbarian groups, the Huns are one of the most misunderstood and mythologized. Appearing on the borders of Europe in the fourth century C.E. the Huns were described by their contemporaries as savage nomadic warriors impervious to hardship. The Huns themselves did not leave a written record and modern scholars are left with no detailed account by an eyewitness of the Huns at war. However, the fourth century historian Ammianus Marcellinus wrote that the Huns were the most formidable of all warriors because they possessed superior archery skills. This prevailing image was written into the history of the fall of the Western Roman Empire and has influenced studies of Late Antiquity through countless generations of scholarship.